When it comes to the mobile app development, there are several factors, which one must consider before jumping in. As we all know that the market of Mobile apps is on the rise for the past few years and the same is going to continue for future years to come. 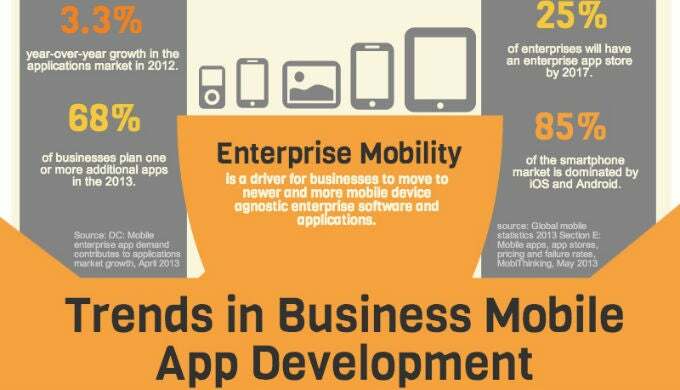 The Mobile apps have already become an important part of the businesses all over the world. The businesses all over the world are looking towards the best apps for their businesses and thus hoping to establish a worldwide fame. Now, for the companies who are into the Mobile apps development businesses, there are several factors, which are the integral part for any development of apps of any kind. Here, in this guide, we will bring you face to face on several important considerations, when it comes to the development of mobile apps. The mobile app security is one important aspect, which the developers should consider at high priority. You must be aware of the fact, even the iOS, which is considered as the safest and closed platform, is not at all fully secured against the cyber attacks’ leave alone the Androids. Android provides the better adaptability to the developers and considering the fact of the development platform is C++, it is less prone to the attacks. Thus, either it is iOS or Android, nothing is safe and thus you must take care of the additional security features from your end. Passwords are no longer the 100% safest assurance from malicious activities. Developing multiple level authentication should be helpful where not only the passwords hold the key. In this system, whenever the use processes for login, the app sends the code to the registered number and only upon entering the code, the users will be allowed to access the app. Encryption is an important scenario, when it comes to the prevention of the important data transmission. Today, almost 33% of the IT Companies don’t use the encryption methods to the important information. As a development agency, it is the responsibility of the company to install the best encryption methods to prevent the unsafe important data transmission. Most of the companies like Top Notch Dezigns, which deals in the Mobile App development and deals in end to end mobile application development, provide the best safety and all other measures in their Mobile Apps. The Mobile Apps Development by Top Notch Dezigns is one such example of the exemplary solutions for the enterprise, which all other companies should learn from. Since, the hackers have quite an easy access to the cached data, the companies should look forward towards the limiting of the data caching and its vulnerabilities. Providing password to use a mobile app can help a lot and the process of programming the app to naturally erase off the complete cached data every time the mobile is restarted is one such step towards the better security regarding the caching issue. Are you confused on which side to choose on? Which should be thumbs up and which one to discard, when it comes to the Mobile Apps Development? CEO Derek Robinson, Top Notch Dezigns says. When it comes to the agency doing the work, you can manage things as per your choice and can save extra expenses. A development agency will always know more about your work, vision, goals, mission and audience. By developing mobile apps with an agency, you have complete control of what features you include and when to make changes. It can be costly and time-consuming but it worth it.